Photo Spaceweather.com showing massive hole in the Sun's atmosphere. A massive hole has opened up on our Sun's atmosphere and is facing Earth. 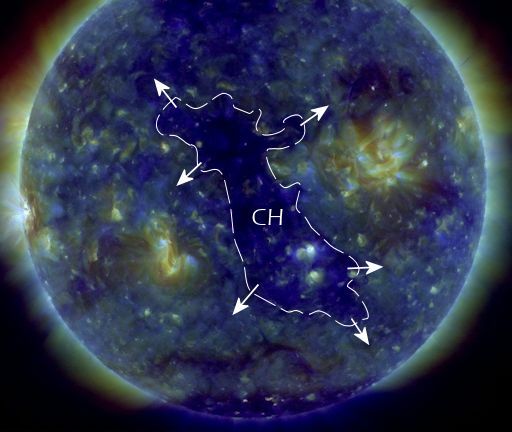 NASA's Solar Dynamics Observatory is monitoring the structure as it turns to face Earth. It is interesting to note the hike in volcano activity and the major mag 6.5 in the Philippines and the surprising mag 5.8, in Montana yesterday which some experts believe happens as a large Coronal Hole begins to turn and face Earth. It will be worth keeping an eye on earthquake and volcano activity in the coming days. 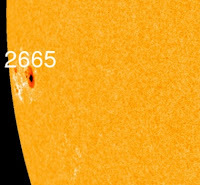 Spaceweather reports: Breaking a string of two spotless days, new sunspot AR2665 is emerging over the sun's eastern limb. 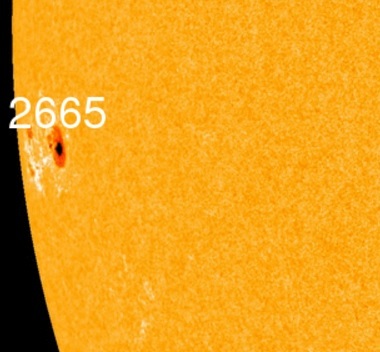 It's a big sunspot, with a primary dark core twice as wide as Earth. The magnetic canopy of AR2665 is crackling with minor B-class solar flares, but so far nothing stronger. This is probably a mostly-quiet sunspot typical of the decaying solar cycle. NASA announced last week a new Solar Minimum has arrived, which happens every 11 years or so. 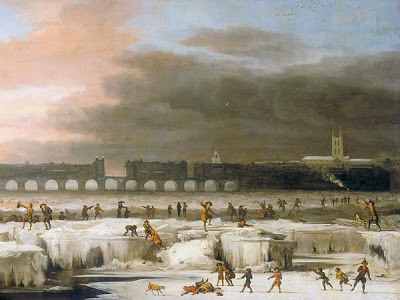 Some 'experts' are claiming a mini ice age is just round the corner, as I write this in near 30C temperatures at home in Holland I find that scenario difficult to believe however, if a mini ice age does happen in the coming years it will happen very quickly. NASA announced a new Solar Minimum is coming, every 11 years sunpsots fade away, this event is called a Solar Minimum and this is happening now with 2019, 2020, expected to be the the quietest period.